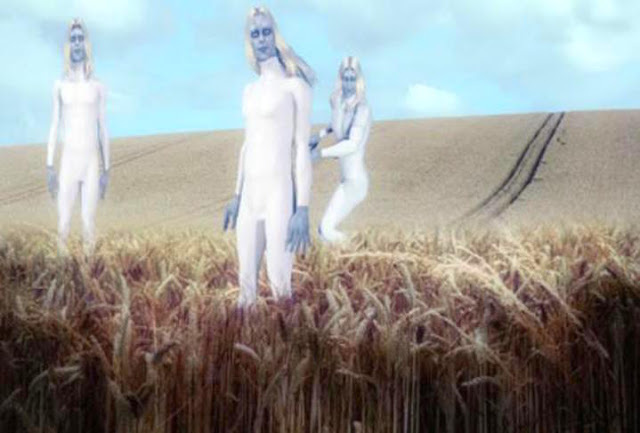 UFO SIGHTINGS DAILY: British Cop Witnesses TALL WHITE Aliens Inspecting Fresh Crop Circle In 2009, Video, UFO Sighting News. British Cop Witnesses TALL WHITE Aliens Inspecting Fresh Crop Circle In 2009, Video, UFO Sighting News. This sounds like an amazing sighting, and I have never heard about it before. Any info about tall whites helps a lot. The police officer says that they moved oddly, which the do, because the shape of their leg (from the knee down) actually goes opposite direction from ours, but some kind of holo-emitter makes it appear human like, but they still cannot mask their odd walk. 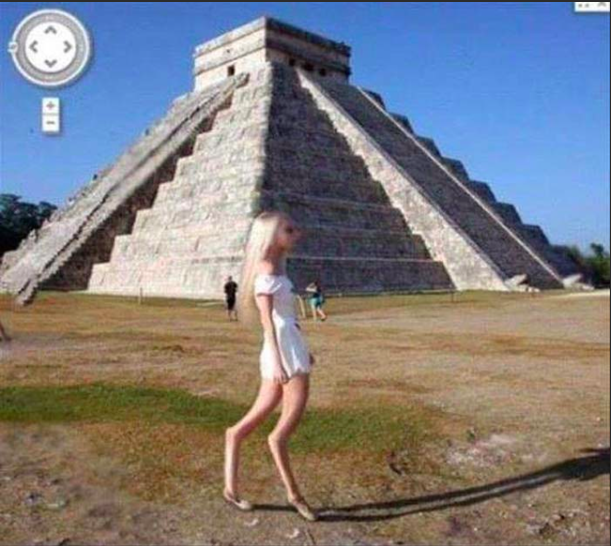 Here is an example of a real tall white youth caught by the Google Earth camera at a Mexico pyramid. Its since been deleted by Google but still exists on the net. Notice her legs? 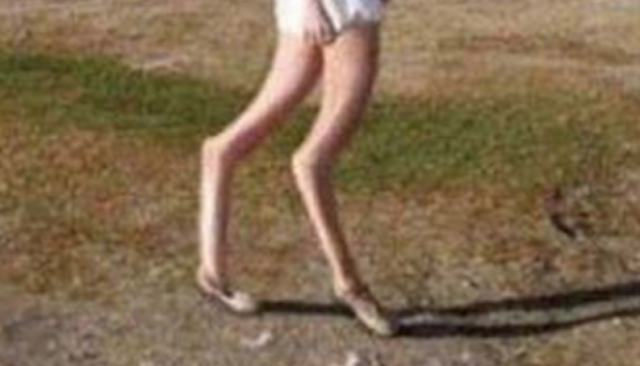 Those are the legs of a tall white, and her size says she is under 400 years old. Above 400 they grow another meter tall, until about 700 where they die a natural aged death. Not many people know this, but back in 2009 a British police officer witnessed ‘Alien Beings’ inspecting a fresh crop circle in a middle of a field! The Police Sergeant who has not been named, witnessed the event back in 2009. The Policeman was off duty at the time when he noticed the unusual ‘Beings’ in the field. The Police Officer pulled his car over and walked over to the field to see what was going on as he apparently had a ‘strange’ feeling about what he was seeing. However, as he approached the ‘men’ — who were all way over 6ft tall with long blond hair – he suddenly heard “the sound of static electricity” and the trio ran away ”faster than any man he had ever seen” so fast that it apparently almost seemed ‘unreal’. Leaving the scene of the strange event the Police Officer jumped quickly back into his car and travelled back home to Marlborough, Wiltshire, and then contacted paranormal experts and told them he had spotted a UFO. The unnamed Police Officer asked for support off a Gentleman called Andrew Russell who is a Crop Circle Investigator. ​”At first he thought they were forensic officers as they were dressed in white coveralls. He stopped his car and approached the field. ‘The figures were all over 6ft and had blond hair. They seemed to be inspecting the crop. When he got to the edge of the field he heard what he believed to be a sound not dissimilar to static electricity. ”This crackling noise seemed to be running through the field and the crop was moving gently, close to where the noise was. ”He shouted to the figures who, at first, ignored him, not glancing at him. When he tried to enter the field they looked up and began running. ”He said; ‘They ran faster than any man I have ever seen. I’m no slouch but they were moving so fast. I looked away for a second and when I looked back they were gone. This strange incident happened on July 6th as the Police Officer was driving down the road. Apparently the three very tall figures were inspecting the odd-shaped Crop Circle in the field. They all appeared deeply interested and analyzing the Crop Circle – was it them who made it, or possibly was it their fellow colleagues from a far!? The crop circle had been there in the field for a few days before this incident. Another Crop Circle Expert, Colin Andrews, who investigated the incident alongside Andrew Russell, said he is ”convinced” by the police officer’s story and does not see any reason at all why the Officer would of made this story up! Some have suspected that this was the Tall White Aliens that the Officer had witnessed. The Tall whites have even been acknowledged by Edward Snowden, who believes that they are very much in contact with Planet Earth and watching our every move.